So my project for tonight and tomorrow is to make my blog truly my home and decorate it! This could be an adventure, so stick around. :) I'll keep you posted. All week long I doodle in my sketch book and no one ever sees them but me. 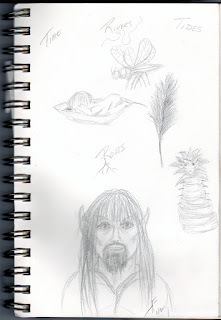 So today I want to start something new, Sketchpad Sunday. Each Sunday I'll add the new things from my sketchbook so that you get a glimpse into where my mind goes as it wanders through the day. I'm not a great sketch artist, but I enjoy it and it helps me keep ideas fresh in my mind. There could be doodles, doll ideas, notes to my self and any number of odd things. One of which may be Mac's signature from time to time. LOL He enjoys helping me sketch. So here goes. 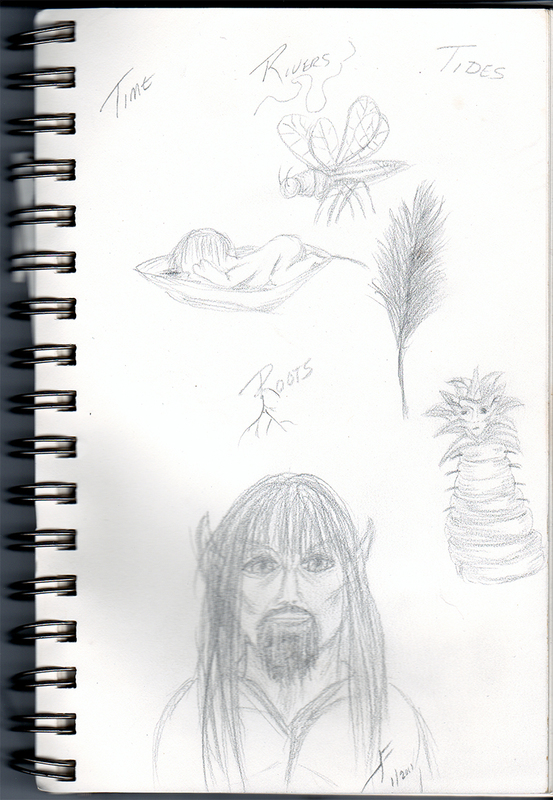 This is my sketch book from today. Tomorrow I'll show you the beginnings of something new. Until then enjoy what's left of the weekend!